Watch Sailor Line with white dial, casing in gold with sapphire crystal glass and leather strap in black. 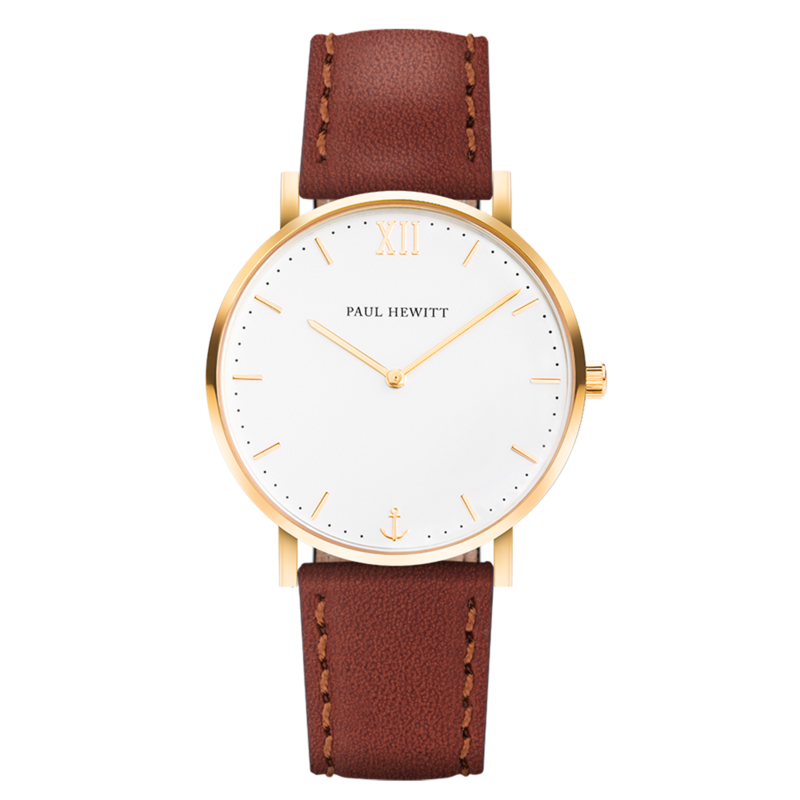 Wristwatch with modern elegance and northern German durability by PAUL HEWITT. Watch Sailor Line with white dial, casing in rose gold with sapphire crystal glass and leather strap in black. 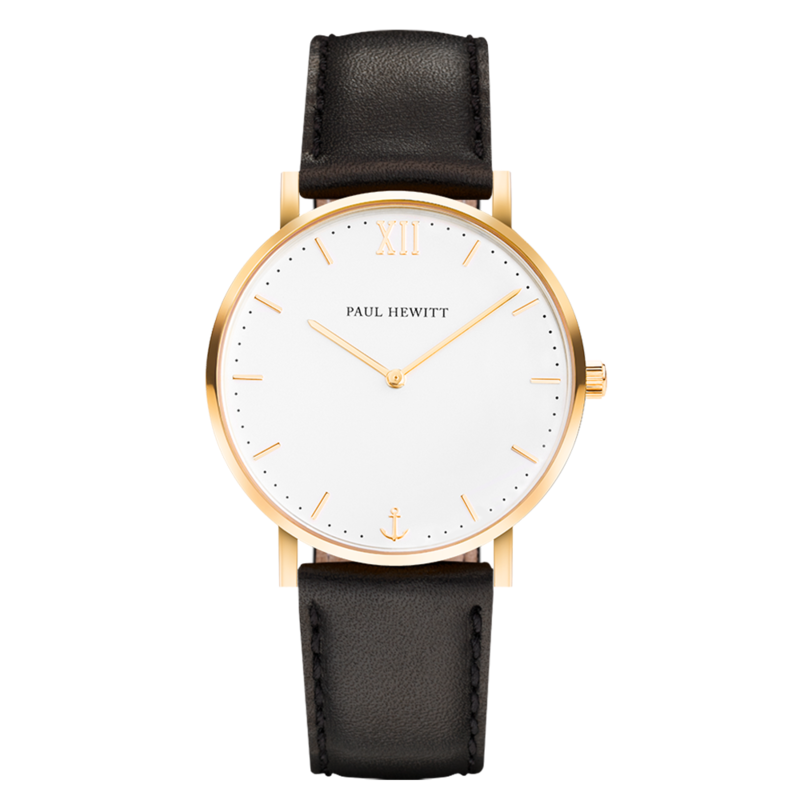 Wristwatch with modern elegance and northern German durability by PAUL HEWITT. Watch Sailor Line with white dial, casing in gold with sapphire crystal glass and leather strap in aurora. 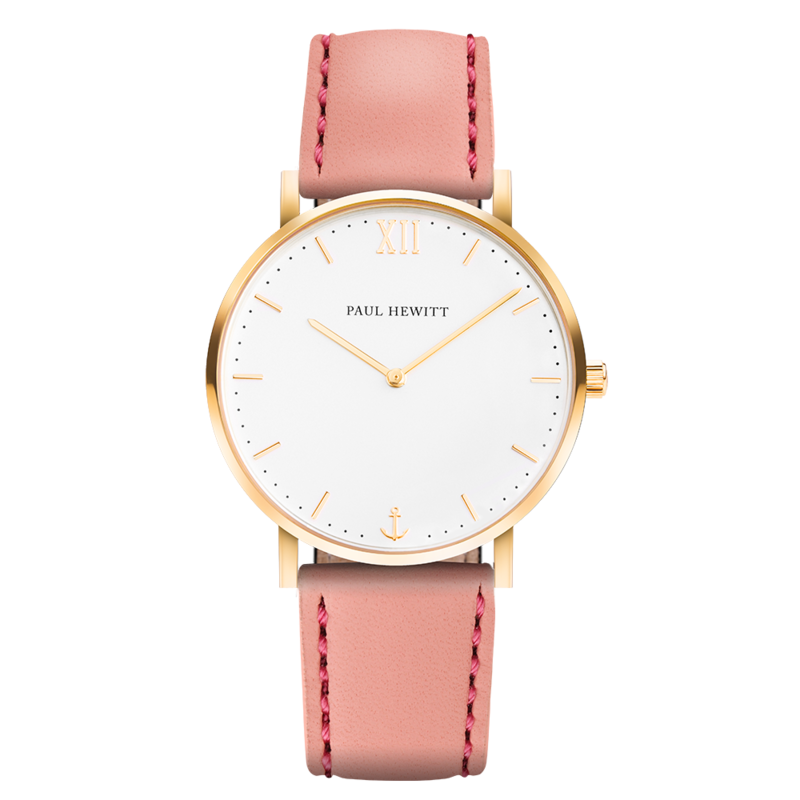 Wristwatch with modern elegance and northern German durability by PAUL HEWITT. Watch Sailor Line with white dial, casing in gold with sapphire crystal glass and leather strap in brown. Wristwatch with modern elegance and northern German durability by PAUL HEWITT.